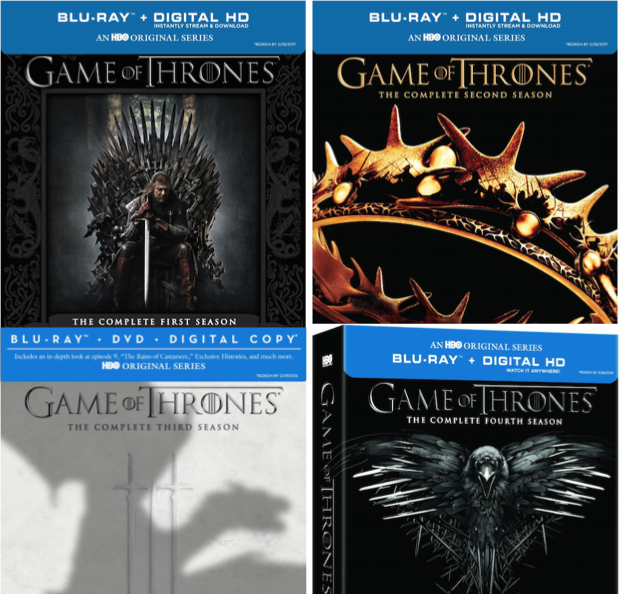 Game Of Thrones Seasons 1-4 Collection Up To 67% Off! You are here: Home / Great Deals / Amazon Deals / Game Of Thrones Seasons 1-4 Collection Up To 67% Off! All I hear about all summer long is Game of Thrones! When it first started I had a viewing conflict, so I let it slide. Am I ever sorry I did that! It’s an error in judgment that I want to rectify! Thankfully, Amazon to the rescue! Today Only, get the Game Of Thrones Seasons 1-4 Collection for Up To 67% Off! Catch up before the new season gets too far and then join your friends in watching!